#RunLucky this St. Patrick's Day! 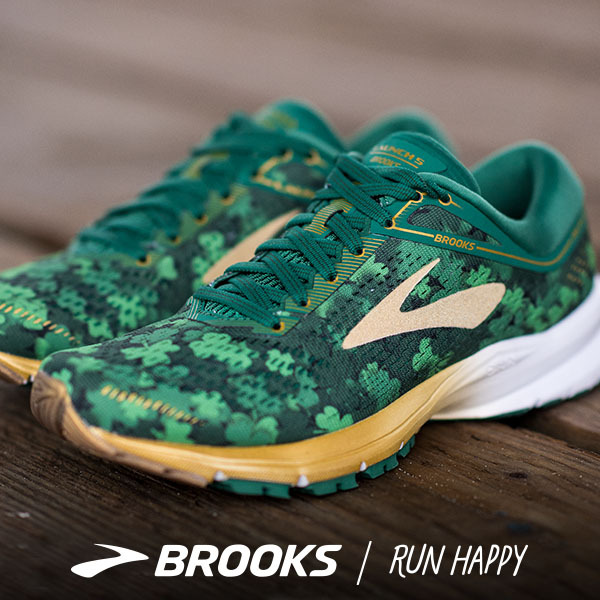 The special edition Brooks Launch 5 Shamrock Shoe is here! Still the lightweight, neutral trainer you know and love, just luckier. Wear it for your St. Patty's themed race, or your St. Patty's pub crawl. We're not judging. $100. Available in limited quantities at the Wade Avenue store only.